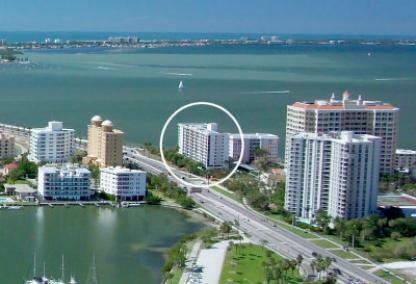 The Sunset Towers condominium overlooks the John Ringling Bridge and Sarasota Bay. Built in 1980, this high-rise building has 60 condo residences. Floor plans here range from 1336 to 1380 square feet. The lobby was recently remodeled, and there is a full-time building manager. Amenities include a sundeck, bike storage and a community swimming pool. Owners enjoy all of the cultural venues of downtown Sarasota, as well as dining in excellent restaurants, shopping and experiencing a relaxed South Florida lifestyle. The beaches and golf courses are close by too. Contact our team if you would like information on this property or the adjacent Ritz Carlton. We have agents experienced in all areas of the city.